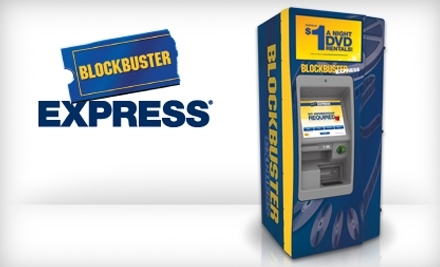 New users to Blockbuster Express can get a FREE DVD rental! Join the Blockbuster Express email list and you’ll receive a code for a FREE Blockbuster Express DVD Rental in your inbox. Your rental code should be valid for 1 week. Use promo code MAYMOVIE for a FREE $1 rental from Blockbuster Express, or it will take $1 off for the $2 and $3 rentals! Enjoy it now, code expires today, 5/17. “Like” Blockbuster Express on Facebook to get a FREE $1 rental from Blockbuster Express, or it will take $1 off for the $2 and $3 rentals! While you’re there, be sure to join more than 111,069 others and become a fan of Deal Seeking Mom. You’ll find more conversation, additional deals and a peek at the freebies I receive in the mail! Use promo code MOVIETONIGHT for a FREE $1 rental from Blockbuster Express, or it will take $1 off for the $2 and $3 rentals! Enjoy it now, code expires Friday, 3/23. Use promo code ETTUBRUTE for a FREE $1 rental from Blockbuster Express, or it will take $1 off for the $2 and $3 rentals! Enjoy it now, code expires Wednesday, 3/21.